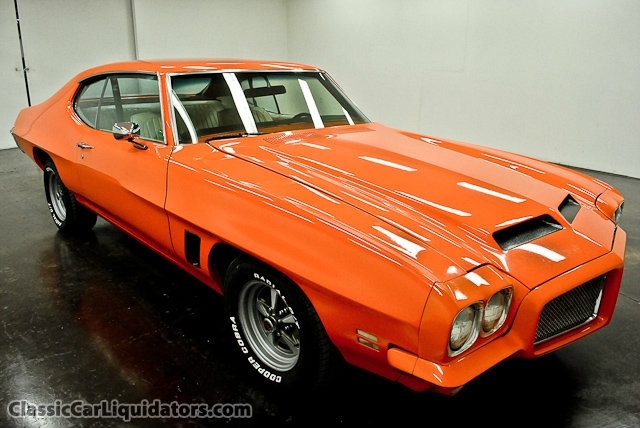 Not to be confused with 'The Judge' performance package, which was discontinued in February 1971, the 1972 GTO reverted from a separate model line to a US$353.88 option package for the Le Mans and Le Mans Sport coupes. 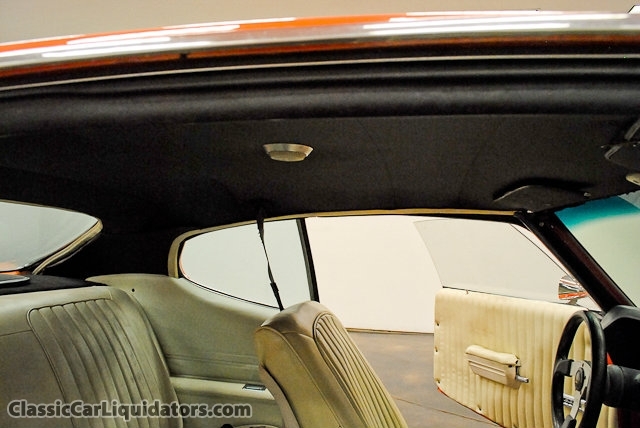 On the base Le Mans line, the GTO package could be had with either the low-priced pillared coupé or pillarless hardtop coupé Both models came as standard with cloth and vinyl or all-vinyl bench seats with rubber floor mats on the pillared coupé upgrading to carpeting on the hardtop, creating a lower-priced GTO. 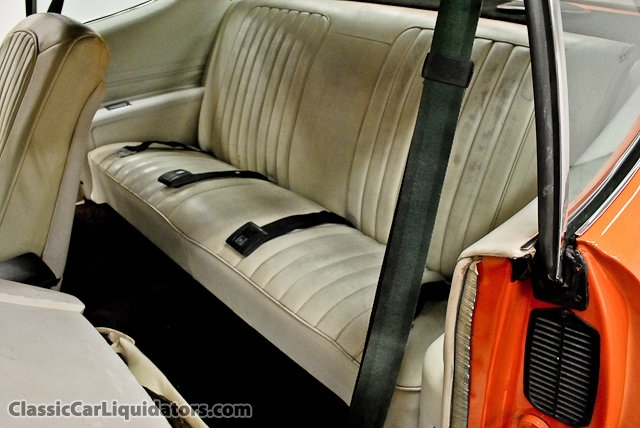 The Le Mans Sport, offered only as a hardtop coupé came with 'Strato' bucket seats upholstered in vinyl, along with carpeting on floor and lower door panels, vinyl door-pull straps, custom pedal trim and cushioned steering wheel, much like GTOs of previous years. 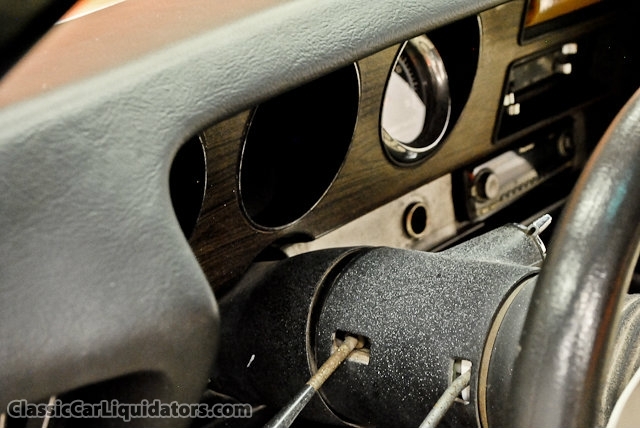 Other optional equipment was similar to the '71 and earlier models. 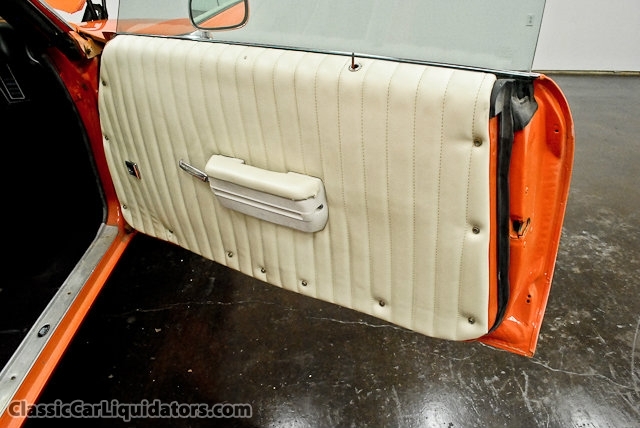 Planned for 1972 as a GTO option was the ducktail rear spoiler from the Firebird, but after a few cars were built with that option, the mould used to produce the spoiler broke, and it was cancelled. Rally II and honeycomb wheels were optional on all GTOs, with the honeycombs now featuring red Pontiac arrowhead emblems on the centre caps, while the Rally IIs continued with the same caps as before, with the letters "PMD" (for Pontiac Motor Division). Power, (now rated in SAE net bhp) terms, was down further, to 250 bhp at 4400 rpm and 325 lb/ft at 3200 rpm torque for the base 400ci V8 engine. The optional 455ci had the same rated power (although at a peak of 3600 rpm), but substantially more torque. The engines were little changed from 197; most of the drop was attributable to the new rating system (which now reflected an engine in as-installed condition, with a full exhaust system and accessories). 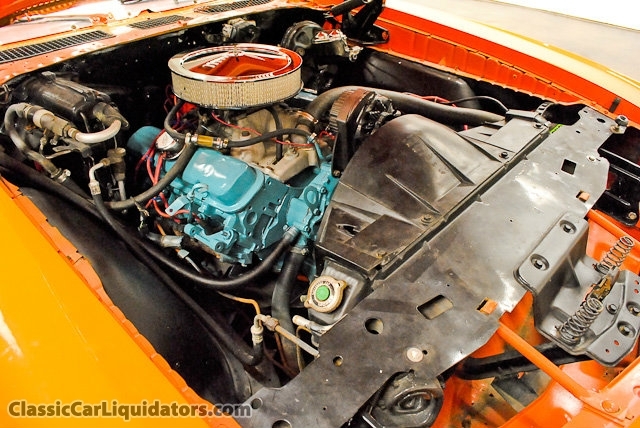 A very rare option was the 455 HO engine, similar to that used in the Trans Am. It was rated at 300bhp at 4000rpm and 415 lb/ft at 3200rpm, also in the new SAE net figures. Despite its modest 8.4:1 compression, it was as strong as many earlier engines with higher gross power ratings; yet like all other 1972-model engines, it could perform on low-octane petrol. 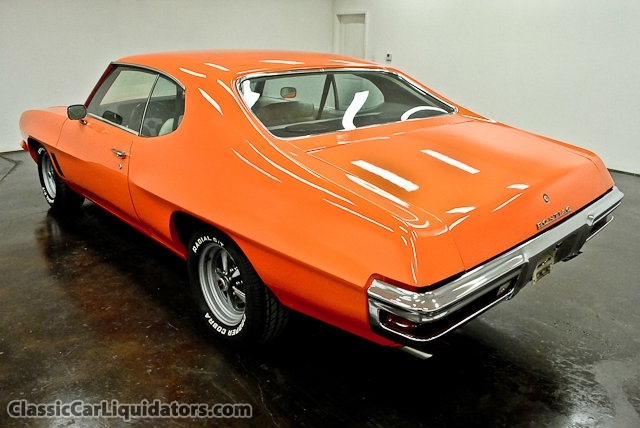 Only 646 cars with this engine were sold. 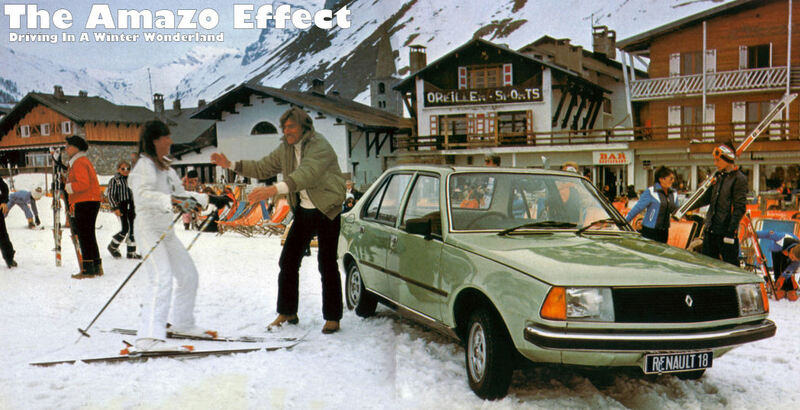 However, sales plummeted by 45%, to 5,811 which incuded a single convertible and three station wagons. 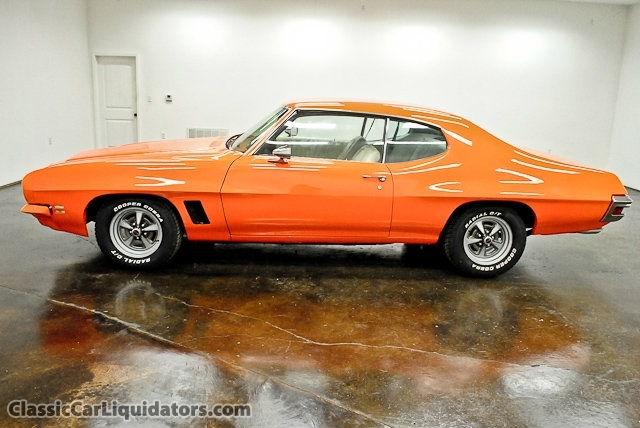 Although Pontiac did not offer a production GTO convertible in 1972, a buyer could order a Le Mans Sport convertible with either of the three GTO engines and other sporty/performance options to create a GTO in all but name. 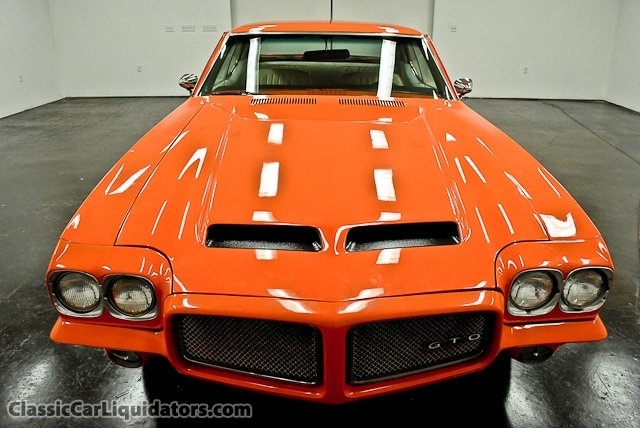 Even the GTO's Endura bumper was offered as an option on Le Mans/Sport models, with "PONTIAC" spelled out on the driver's side grille rather than "GTO". This particular example came up for sale recently in America classic car site for a reasonable Price: $13,000; with only 63989 miles on the clock, the 400 cube Poncho V8 and Turbo 400 are hardly run in. 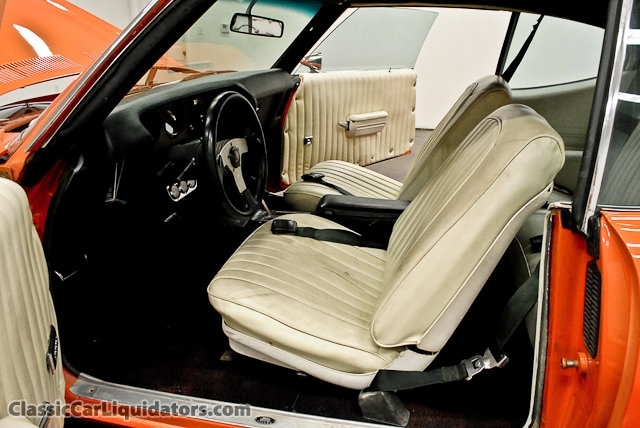 To be honest, the interior looks like it could do with a bloody good clean and those door trims are well, a matter of taste but with air con, electric windows and power steering, we could forgive that.